A successful End-of-Year Management Review has concluded progress on the Lunchsat project for the year 2009-10. The Management Review is an annual opportunity for the Lunchsat team to express the achievement made on the project to senior management including Pat Wood, the Chief Technical Officer of Astrium Satellites. Project lead Nick Fishwick has thanked the entire Lunchsat team following a successful Management Review, which saw senior Astrium managers Pat Wood, Nick Chesher and Bob Baldwin, along with the line managers of some of the team members, attend a summary of what has been achieved over the last year. The networking event was held in the Stevenage Viewing Gallery; the presentation was delivered by Nick alongside Chris Lord (Communications) and Natasha Pushkin (Thermal), who provided overviews of their respective subsystems and also told of their experiences of working on the Lunchsat initiative. In an open email sent to the team, Nick has thanked 'everyone who has contributed to the project this year, a lot has been achieved thanks to all your efforts'. "Highlights include the passive ADCS trade-off, the solar array power testing, the Portsmouth Groundstation installation and radio licences and the increased characterisation of the OBC and Communications chain. "We had some great comments, ideas and news from Pat Wood and other managers from the review [...] there are still some focused tasks which need to be worked on in the coming weeks before the new LunchSat year restarts in October with the new graduate intake. I will be talking to sub-systems individually about these in the next few weeks." Astrium managers reflected on the achievements made and offered valuable advice to the team following the session. 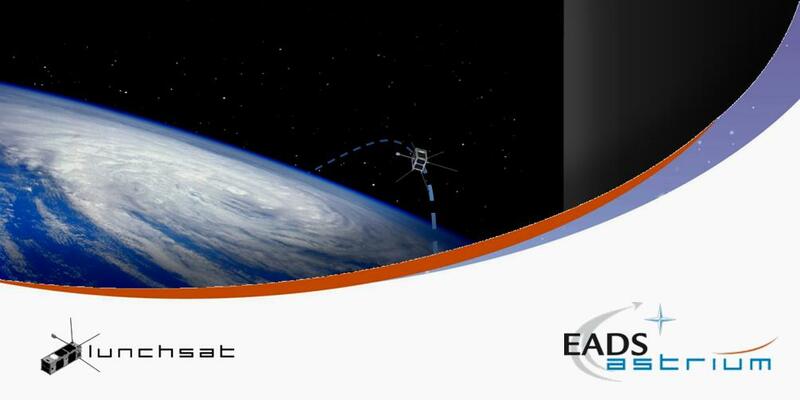 In acknowledgement that 'finding a good payload is essential to getting a launch', a recommendation was made by Pat Wood to research a new L-band payload as an option, particularly as funding may be available from a satellite operator such as Inmarsat. Pat was also interested in the potential for internal R&D and the funding mechanisms that would support the development of such payloads. Nick Chesher provided additional input, suggesting that we can look to Astrium Space Transportation, Surrey Satellite Technology Limited (SSTL) and small-medium enterprises (SMEs) for support with launchers and payloads. The fact that SSTL have begun their own cubesat training programme after witnessing the success of Lunchsat is fantastic news. Nick concluded his congratulations by looking ahead: "The logistics of next year and how the current team will change with the new graduate intake will also be assessed and you will all hear about the plans for next LunchSat year soon."